Once a small pokey room in the back of the house, bathrooms have undergone a renaissance in the past few decades. Nowadays a good bathroom can sell a property, and with relatively inexpensive designer fittings and fixtures, there’s really no excuse for having an out of date or poorly functioning bathroom. 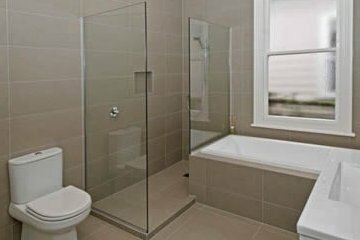 Superior Plumbing is Perth’s most trusted bathroom repair, renovation and maintenance company. 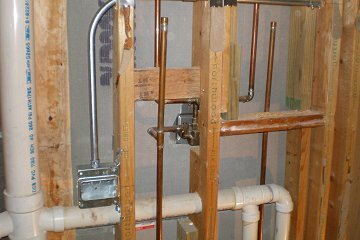 We can assist you, whether you have a small pipe leak you need taken care of, or planning a wide scale renovation of your bathroom space. Do you find yourself daydreaming about your ideal bathroom? Or are you just tired of having to put up with old and malfunctioning plumbing? You’re not alone. We have helped thousands of customers to plan, repair and upgrade their bathrooms all across Perth. We also offer an emergency hotline that is available 24/7, 365 days of the year. So call us today for all your bathroom plumbing needs. Unless you’ve just moved into a brand new home or just finished renovating, chances are your bathroom could use a little TLC. 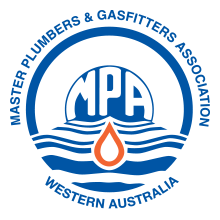 There are many projects you can undertake – from quick minor improvements to a major makeover – and they will all benefit from the advice and experience of a qualified plumber. We’ve all seen the property makeover shows where people start with a visually unappealing bathroom and end up with something that looks like a high end spa. Sometimes all it takes to update your bathroom is to change the tap wear or replace a shower screen with a new one. 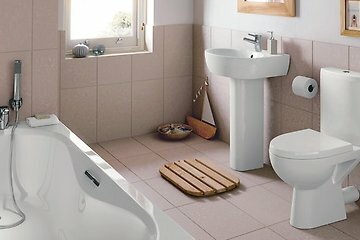 Replacing an old, out of date toilet with a modern one can also completely change the feel of a bathroom. Just remember that if you’re replacing bathroom fittings or fixtures for cosmetic reasons, always check with a plumber to make sure that the new ones will be functional and suitable for your plumbing system. While it’s not as exciting as choosing new taps or toilets, plumbing that is old and is starting to show its age should be replaced. You might notice that the floor drain doesn’t drain as quickly as it should, meaning that it might be clogged, or you might be hearing strange noises coming from the toilet such as knocking or a foghorn type sound. Water might also be leaking from the toilet, which can mean the seals are worn or the pipes are faulty. Having a professional plumber give you advice and help when you’re first thinking of having your bathroom completely renovated can save you making costly mistakes. This is because most renovations will involve moving some of the major components of the room around – for example, removing an old bath to make room for a double shower, or changing the location of a toilet. A good plumber will be able to give you expert advice on what you can and can’t do, as well as give you options that you might not have even considered. The same goes for planning a new bathroom from scratch – experienced plumbers will be able to help you get the most bang for your buck and help you avoid making common but costly mistakes. Having a plumbing company help you from planning stage right up until the new bathroom is finished can also help to ensure the build goes smoothly and the finished product is of a high standard. Blocked or clogged toilet. Surely one of life’s nasty little experiences, having a toilet that simply won’t flush everything down can be frustrating and even a little scary. Will the whole house flood because a bit of toilet paper won’t flush? Generally, it won’t but if a plunger and a bit of elbow grease won’t solve it, it’s time to call in a professional. Dripping taps or shower head. This is one of those issues that many people feel they should be able to fix on their own, until they actually come to fix it. Unless you know your o-ring from your jumper valve, it’s best to call in a plumber to stop those leaks properly. Coloured water coming out of your taps. Water should be colourless, however if you’ve had red, brown, green or even blue water coming out of your bathroom taps, it could be a sign that the pipes are old, rusted or corroded. Whitish water can also mean you have air in the pipes. In all these cases, you should contact a plumber as soon as possible. Weird noises in your bathroom. If you have started hearing strange knocking or rumbling sounds in your bathroom, it could mean that your pipes are loose or that you have high water pressure. The knocking in particular is often called “water hammer” and your pipes should be checked as soon as possible to ensure they are not being damaged. No hot water or lukewarm water. Getting ready to have a nice hot shower or run a bath and finding that you have little or no hot water can really ruin your day. The issue can be caused by a number of factors associated with your hot water system such as the flow of gas being interrupted or a lack of proper ventilation. does your bathroom need help? Do you spend as little time as possible in your bathroom because it’s dark, cramped, with dripping taps or rusting pipes? Has your toilet seen better days? Having your bathroom renovated or having its issues fixed can bring you peace of mind, and give you a room you might actually want to spend some time in. Fixing broken or leaking pipes and taps can save you money on your water bill, and having any old plumbing replaced can mean you avoid having to pay out for costly repairs in the future. Don’t forget also that most property experts believe that a well designed, up to date and functioning bathroom can add thousands of dollars worth of value onto your property. 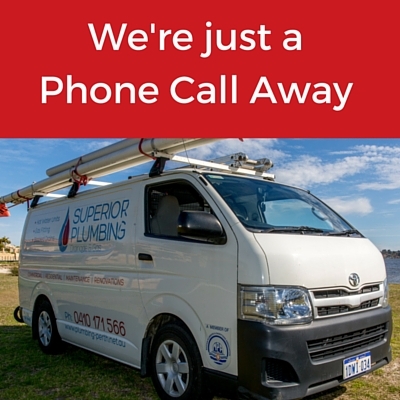 Superior Plumbing offers a comprehensive emergency call out service that runs 24 hours a day, 7 days a week and all days of the year. We don’t charge any extra fees for this service, but instead charge you a flat fixed fee, so you won’t be hit with any unexpected costs. When something goes wrong in your bathroom, especially if it’s a major issue such as a burst pipe, blocked drain or toilet, or a lack of water, we can turn up to fix it quickly, and with all tools and equipment needed. 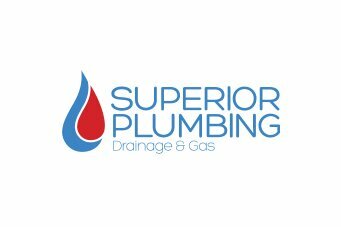 Contact us today and experience the Superior Plumbing difference!